9th December 2017: After blowing the birds out of the trees all week, the North Easterly finally gave up the ghost and left the fleet floating around on a glassy seaway, with Race Officers scanning the horizon for wind ripples to appear. Two hours went by before PRO Ross Chisholm found some consistency from the ESE breeze on the Southern Course A and went into the starting sequence. No such luck on the Northern Course B and after four hours waiting around, PRO Simon James sent the cruising fleet home without a start. The leaders of various cruising classes rejoiced without even lifting a finger, while the racing classes battled it out on one short windward/leeward course, with some detrimental effects on the overall results. A little hustling on the start line and IRC 0 were clean away. A couple of lead changes between the 52 footers and after Phillip Turner's Reichel/Pugh 66 Alive crossed for line honours, only one minute a piece separated the three 52's and it was Sarab Singh's Welbourn 52 Windsikher II that claimed the handicap honours in front of Alive. Despite slotting into 3rd place Kevin Whitcraft's TP52 THA 72 has won 9 of the 12 races and walks away with the IRC 0 title for the second year. 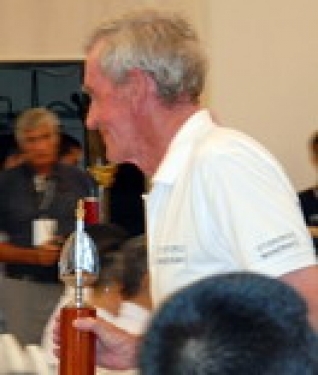 Last year Whitcraft said "I've been trying for 30 years to win the King's Cup and finally did it". This year they defended the title in style. Like always, Ray Roberts TP52 Team Hollywood put up a good fight for 2nd overall and broke THA 72's winning streak during the week. Optimised for light weather, Sarab Singh's Welbourn 52 Windsikher II has never broken so much equipment at one regatta and paid the consequences for 3rd overall. While Fred Kinmonth / Nick Burns Sydney GTS 43 Otonomos Mandrake III made a clean start at the pin end, the Japanese on Yasuo Nanamori's Beneteau 40.7 Karasu and the Aussie's on David Fuller's chartered Beneteau 44.7 Fujin were being squeezed out at the boat end. Otonomos Mandrake III had a clear lead on the first lap, but they missed a wind shift on the second upwind and Mati Sepp's chartered Swan 42 Club Loco went on to claim line honours. 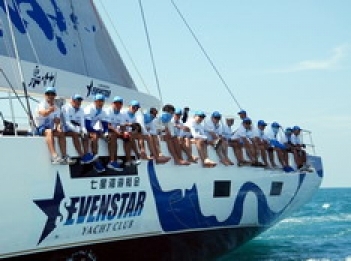 Since being disqualified and suffering equipment failure, Nanamori's defending champion Karasu has been on the comeback trail and by correcting out in first place today, they leap frogged Loco into 2nd overall but couldn't quite catch the leaders Otonomos Mandrake III who have been on fire all regatta and were the most consistent scorers in the IRC 1 class and deserve the title. 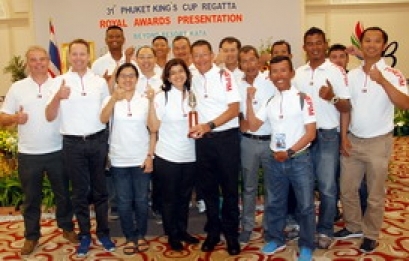 By adding another win to their tally, Peter Dyer's IOR 3/4 ton Kata Rocks - Madam Butterfly takes victory in the IRC 2 class by winning 8 out of 11 races. 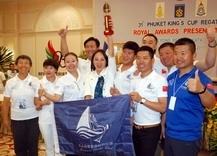 Although Thailand's Nareuwat Chevanuntapornchai's Venture took 2nd place today they finish down the order in 5th overall. 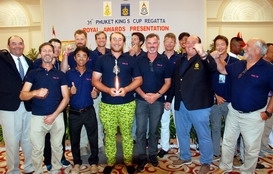 Third place for China's Shen Sheng's Farr 1104 Big Boys Racing (Farrgo Express) is enough to hold onto 2nd overall, and 4th place for James Downard's sister ship Krabi Boat Lagoon Piccolo stay in 3rd overall. The battle of the heavyweights boiled over into the Premier Cruising class today. With only one point separating Aussie Geoff Hill's Smith 72Antipodes and Thailand's Ithinai Yingsiri's X55 Pine-Pacific it was decided to attack, with match racing tactics to delay the boats and hopefully one of the others might take the win. It didn't quite work out that way and the jury deliberated over 5 counter protests to decide the outcome, including the controversial Rule 69 for misconduct. 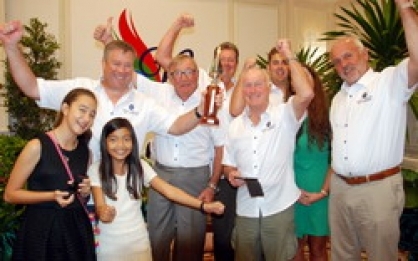 As it turned out, all the protests were dismissed and Yingsiri's Pine-Pacific has defended the title for the fourth time, with Hill's plans on Antipodes backfiring for 4th place and having to settle on 2nd overall. Former Whitbread racer Gijs van Liebergen's King's Legend secured 3rd overall, while Fabio Becattini's A80 Apsaras claimed line honours, in front of the dueling leaders and finished in 4th overall. The Japanese on Natsuki Motoyoshi's Mil Grace / Frog were full of joy when they won the Firefly 850 Sport race today and despite being tied on points with Hans Rahmann's Voodoo were reduced to 3rd overall, when tallying the number of wins. After having a collision and not competing in the following race, John Newnham's Twin Sharks embarked on an almighty comeback trail and by winning the next 6 out of 8 races, have gone on to defend the title. 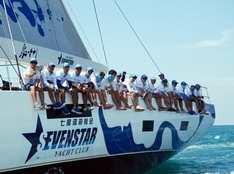 Rahmann's Voodoo stayed in 2nd overall despite missing the wind shift and finishing in 4th place today. 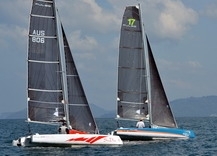 Only two Pulse 600 One Design trimaran's made it out onto the race course today. 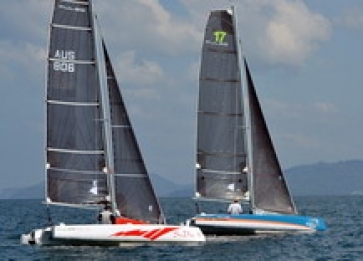 Andy Pape's Multihull Solutions H30 struck gold in the race and in the overall stakes. Although not far behind, Mick Tilden's Pixalux /Java ends up in 2nd overall, while the non starters Liz Schoch's Sudu Yellow and Neil Ayre's Java Yachting end up in 3rd and 4th respectively. 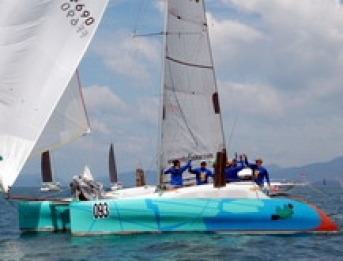 Not even having to race today, Henry Kaye's Seacart 30 Thor went out and slammed home their 10th victory out of 11 races, to completely dominate the Multihull Racing class and run away with the title. 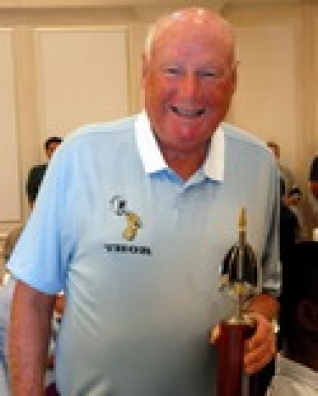 Very remarkable for Henry as he approaches his 81st birthday and an inspiration for the younger generation. Mick Coleman's Stealth 11.8 Asia Catamarans Java stayed in 2nd overall and Bob Garner's Daim 24 Blade Runner IX in 3rd overall despite finishing down the order today. 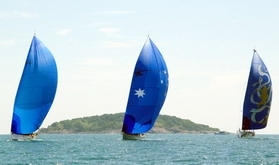 As there was no racing in the cruising classes the results stay the same as yesterday. 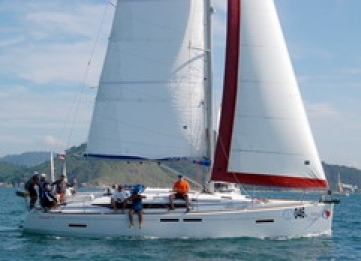 Rick Fielding's Mojo Multihull Solutions claim the Multihull Cruising class title. Victory for the Russian's on Igor Ginzburg's Sun Odyssey 409 Phailin in the Bareboat Charter class. Xiong Ting's Standfast 40 Mermaid (Mas Allegre) cleaned up in the Modern Classic class and Urii Firsov's IOR Farr 43 Uminoko decimated the Cruising Class. 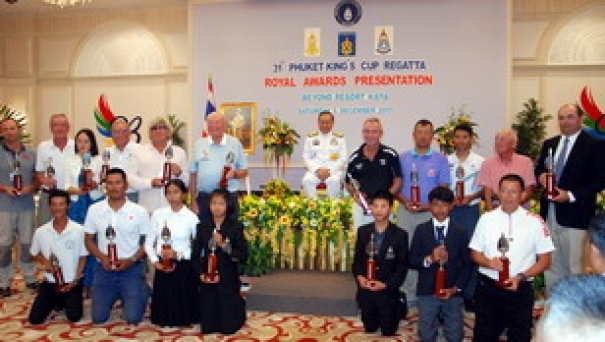 Chairman of the organising committee Kevin Whitcraft summed it up, when he thanked everyone for turning up at late notice and keep the prestigious King's Cup going into the future. H.E. Air Chief Marshal Chalit Phukbhasuk, the personal representative of H. M. the King welcomed the youth incentive program and encouraged all the dinghy sailors to stick with the character building program. A large contingent of Russian and Chinese sailors have been blessed with plenty of wind this year and despite extensive carnage going on, how can sailors from all over the world, not like the racing this week and the challenging conditions taking place. There have been some acts of sportsmanship to be remembered, as well as some not so memorable moments, that are the heart and soul of any regatta. It's confirmed the regatta will go on into the future, so mark down early December in the sailing diary,.for another whirlwind of racing action.